L-R: Bolarinwa Olajide, Kelechi Kelele Nwosu, Emmanuel Etim, Fiona Equere, Chukwumah Olisa Jb, Kelechi Nkoro and the Big Dog himself (Femi Obong-Daniels) squatting in the centre. It all started as a joke. But this crop of young and enterprising dudes have taken over the airwaves with incisive analysis of the Premiership, Bundesliga, La Liga, French Ligue 1, the Nigerian League, champions league, Uefa cup and a host of several sporting activities. So much was their passion for the game that they have succeeded in re-igniting the sizzling football commentary Nigerians were addicted to back in the days of Ernest Okonkwo in terms of balancing the thin line between patriotism and objectivism in sports. Owing to this reawakening, the gang has succeeded in attracting a large of chunk of the listening public to its Radio station – Nigeria Info 99.3 FM as well as Cool Fm 96.9.I recalled the first time I stumbled on their programme in the course of writing some stories (one of the bad habits I find hard to shed), I kept turning at interval be sure I didn’t mistakenly tune into BBC. Alas! It was real… After listening to successive editions, I got worried. Why? 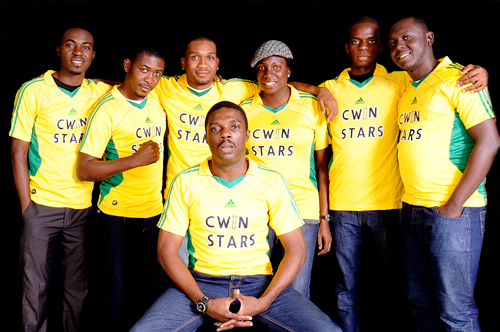 It is generally believed in Nigeria that innovations such as this swashbuckling sports programme don’t last. They could either be swallowed up by a gang-up of overzealous competitors or witness an inevitable break-up of ambitious crew members who could give in to the pseudo idea of going ‘Solo’. As expected, the team had their first ‘Baptism of Fire’ when ace sports radio, Brila FM came calling. Among other things, they were accused of having no rights to run a live commentary on the Barclay’s Premier League as well as the FA Cup and the likes. It was an intense battle that almost led to litigation on both ends. How they managed to survive such heat is still a miracle. However the success of the team has hinged on the shoulder of one man, Femi Obong-Daniels, the Al Capone of the gang whose insights and resilience had resulted in what many termed an all-encompassing sporting brand . 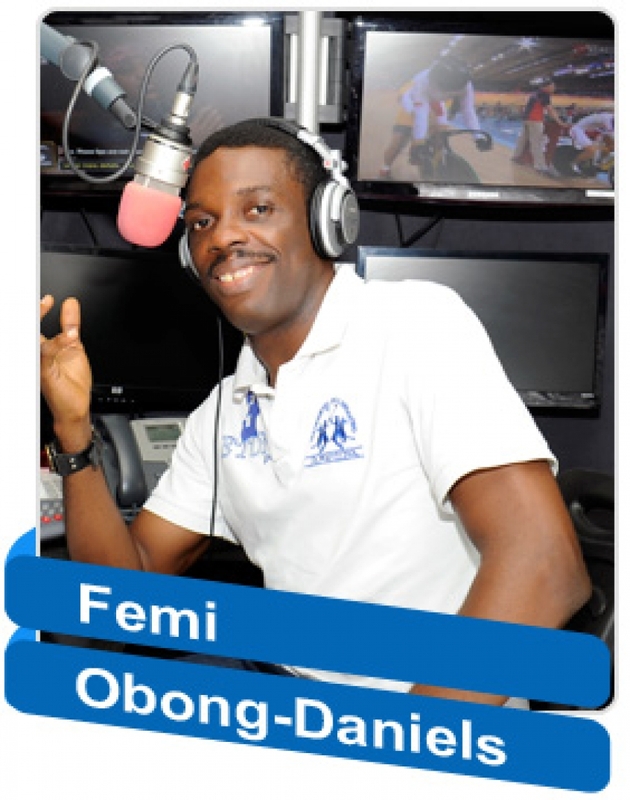 For the record, the big dog as he is fondly called veered into broadcasting at quite a young age and was already an OAP while studying Communications and Language Arts at the University of Ibadan.Born of mixed parentage, he speaks fluent English, Yoruba and Pidgin; passable Igbo, Efik/Ibibio and some basic Hausa. only when others around him have a good laugh. Little wonder, the entire sports crew has been able to come this far. Great job, guys!!! Why isn't NFLN constant most wire companies? Well, it has to do with the style in which the wire organizations want watch nfl games online allow it.